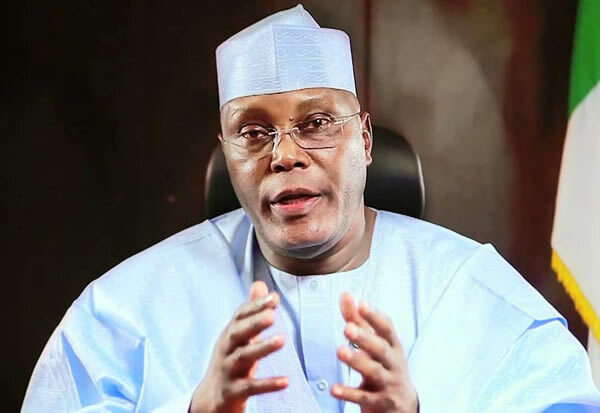 Former Vice President and 2019 Presidential hopeful Atiku Abubakar has written a piece on ‘Why Nigeria needs to be re-structured’. According to him, ‘restructuring is not just about the devolution of powers to the states, it is about transforming the respective roles of the federal, state and local governments to perform more efficiently in matters of territorial as well as economic governance’. “In a recent interaction in the United States, Vice President Yemi Osinbajo asserted that the “problem with our country is not a matter of restructuring…and we must not allow ourselves to be drawn into the argument that our problems stem from some geographic re-structuring”. “It is a surprise that the Vice President would take such a position and, in particular, fail to appreciate the connection between Nigeria’s defective structure and its underperformance. It is unhelpful to reduce the construct of “Restructuring” to a geographical concept as VP Osinbajo does, which in itself demonstrates a lack of appreciation of the core tenets of the concept. For the avoidance of doubt, re-structuring is not about the re-drawing of state or regional boundaries. The restructured Nigeria that a large number of Nigerians talk about, is a Nigeria that not only provides opportunities for everyone to work but even more specifically challenges every layer of governance to demonstrate the capacity to create wealth and jobs for the citizens. Restructuring is not just about the devolution of powers to the states, it is about transforming the respective roles of the federal, state and local governments to perform more efficiently in matters of territorial as well as economic governance. Above all, when we talk about restructuring, we are not talking about just constitutional tweaks, we are talking about a cultural revolution. It is not about re-shuffling a few responsibilities or resources, but about disrupting the authoritarian politics our democracy has inherited from its military and colonial rulers of past. Viewed this way, Nigeria needs to be restructured. Nigeria has operated a faulty system of federalism, especially under military governments. Both economic and political structures are defective, resulting in weak economic management systems which, in turn, prevent all levels of the Nigerian government?—?federal, states and local governments, from operating at optimal levels. Faced with the reality of non-performance, Nigerians have clamoured for the restructuring of the economy towards a more diversified structure. To make this happen would require that we establish and sustain a model of governance which would nurture a spirit of participation and consensus on key national issues and accommodate all the diverse segments of the society. In other words, if we accept the wisdom behind calls for a restructuring of the economy, we must be ready to build a foundation for its success: we must, in other words, re-structure the polity. responsibilities, and along with these, huge resources, which belong to the other levels of government. It is all too obvious that the current arrangement does not respond to the needs of the people at the local level. We have all too often lied to ourselves that the politicians sitting in Abuja can effectively respond to the needs of a population in far remote locations as Kaura Namoda, Iseyin, Arochukwu or Bama. Only the autonomy of the local governments and the states both of which are closer to their people than the Central Government in Abuja can guarantee this and result in more effective decisions. Only when local administrations are on the saddle, will there be greater accountability for decision making as well as improved flexibility, adaptability and ability to change as a result of a reduction in bureaucracy. I strongly believe that the restructuring of Nigeria will foster the spirit of co-operation and consensus in a nation of diverse ethnic groups, cultures, and religions. It is desirable, in fact, you may even say it is required to establish, nurture and sustain a strong and effective democratic government. In this continuous dialogue, we should remind ourselves that restructuring is not a new or strange phenomenon. A number of developing economies have had cause to restructure their economies, for greater efficiency or to correct imbalances or to reorient them towards, for example, more open and market-oriented systems with greater reliance on the private sector as the engine of growth. Even the United Kingdom is restructuring its political and economic systems to enable a better union among its component parts. Businesses restructure for better performance. Even families do!